Arctic char are caught in four waterways (Ekalluktok River, Halokvik River, Paliryuak River, and Jayko River) near Cambridge Bay (Ekaluktutiak) on Victoria Island in Nunavut, Canada. Annual landings from these rivers currently amount to ~50 t total and this fishery accounts for ~44% of the Arctic char commercially harvested in this Territory. Arctic char is a member of the Salmonidae family, and has the most northern distribution of any freshwater fish. Unlike Pacific salmon (Oncorhynchus spp. ), Arctic char is iteroparous and can spawn multiple times in the course of its lifetime. Comprehensive stock assessments are lacking; however, using data-limited methods, it is believed that the population is healthy and there is a low risk of over-exploitation for the next decade under current fishing pressure. Management currently uses a river-specific quota system combined with annual licensing to limit the amount of char landed, and catch limits are based on a conservative exploitation rate of 5% of the number of char that are vulnerable to the fishing gear in each run. Scientific research into the population and impacts of the fishery is ongoing, and there is a high degree of collaboration from stakeholders at the national, territorial, and community level. Weirs used in this fishery are temporary (erected during the season only) and all fish are trapped live so any non-target fish can be released without harm. Specific measures (including gillnet mesh size and weir positioning) exist to minimize the impacts of both gears, and overall bycatch is believed to be very low for both gears. Given that the fishery occurs near the fast-moving river mouth of these oligotrophic northern rivers with rocky bottoms, both gears have negligible impacts on the habitat. Canada, Iceland and the US produce the majority of the Arctic char found on the North American market. Arctic char in Iceland is primarily produced by land-based flow-through systems, whereas farms in the US and Canada while also inland, include more recirculating systems. Iceland produced 3,260 mt of Arctic char in 2012. US and Canada produce approximately 500 mt per year. 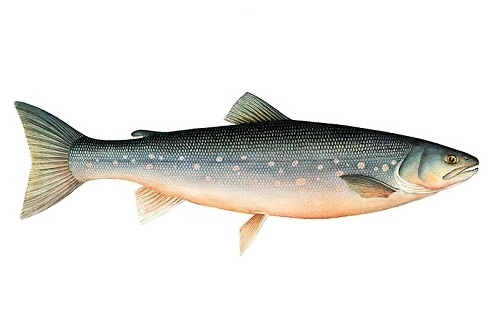 Arctic char are sourced from domesticated broodstock, thereby putting no pressure on wild Arctic char populations. Management in Canada, the US and Iceland is moderately effective, given the enforcement and regulations around effluent and habitat conversion. Disease occurs rarely on the farms; therefore chemical use has also been low. Vaccines reduce need for antibiotics via prevention of disease. Parasite or pathogen transfer to wild populations is possible, but occurs infrequently, especially since disease occurrence is rare. Escapes are extremely unlikely given numerous physical barriers in North America and Iceland. In North America, any escapees experience direct mortality due to elevated water temperatures in the wild. Farmed Arctic char has little imact on the ecosystem as effluents from the flow-through Icelandic farms are discharged into coastal waters with high currents which prevents accumulation and concentration of wastes. Waste water is treated before recirculation in Canada and the US. The farms do not cause negative impacts to the surrounding habitat.